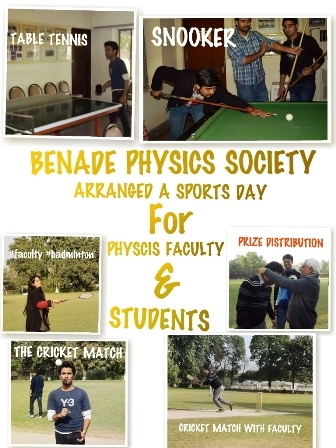 Benade Physics Society organized a Sports Day on 13 February 2016. The faculty members and students indulged in some friendly, thrilling matches of various sports. Two teams were made; Zafar Zalmi and Asfar United, and the students got to show off their skills in the games they played.